The capital city of England and one of the world’s most-visited destinations, there is something for everyone in London. From arts and history to architecture, parks and gardens – there is always something to see and do in this great city. As there is no actual cruise port in London, you will most likely dock in Southampton then take a short transfer into the city. Read on to find out more about London, or click here to see the very latest deals on United Kingdom cruises. It is difficult to know where to start when listing reasons to visit London! 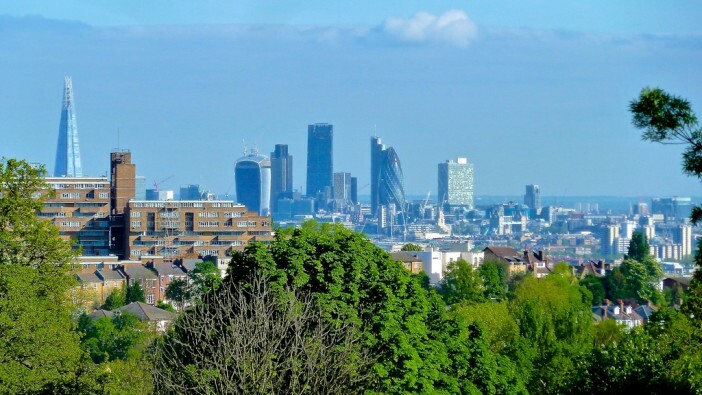 There are essentially two sides to this city – the bright lights, fast pace and high rise buildings, and then the calm serenity of its many green spaces and the River Thames. Central London is the home of most of the iconic sights, major museums and galleries. A good place to start your sightseeing is on the London Eye – a giant ferris wheel which was built as part of the city’s Millennium celebrations. The Eye offers spectacular views across London and is the highest viewing point in the city. It is beautifully lit up by night. Two of London’s most famous museums are located next to each other – The Natural History Museum and The Science Museum. Both boast several floors of interactive and educational exhibits and with free entry they are not to be missed. Another fantastic museum which also has free entry is the nearby Victoria and Albert Museum, which houses the world’s largest collection of decorative arts and design. No trip to London would be complete without a visit to the Tower of London. This is a place of great historical significance, with a compelling and often quite gruesome history. It is the place where two kings and three queens met their death, and many others were imprisoned. At the north of the Tower is the Waterloo Barracks where you can view the Crown Jewels. These include the platinum crown which belonged to the late Queen Mother and the Imperial State Crown which the Queen wears at the State Opening of Parliament. A fantastic way to see all the famous sights of London is by one of the many open-top bus tours on board one of London’s iconic red buses. If you’ve had your fill of sightseeing, head to Greenwich Park or Hampstead Heath to experience the quieter side of London. Greenwich Park is part of a World Heritage Site and has fantastic views over the River Thames and the city. Here you will also find the Royal Observatory, a boating lake and a charming coffee shop. There is simply not enough time here to outline all the amazing sights and experiences you will find in London – the best way to find out is to book your United Kingdom cruise today and find out for yourself! As previously mentioned, there is no cruise port in London. In the sample itinerary below you would dock in Southampton then travel onwards to London. You will set sail from Rosyth, Edinburgh then onwards to Southampton, St. Peter Port, Cork, Dublin, Belfast, Greenock (Glasgow), Orkney Islands, Inverness, Rosyth (Edinburgh), Le Havre (Paris) then returning to Southampton.